And as it is technically my birthday eve as I write this I am sitting here blogging and watching yet more U.S. Open Tennis action drinking a beer I am content. Another year gone by and I am grateful to have had it, all of the ups and downs, highs and lows, peaks and valleys. But seriously, I would love some cake. The weekend was laid back and very enjoyable. Friday night was low key. 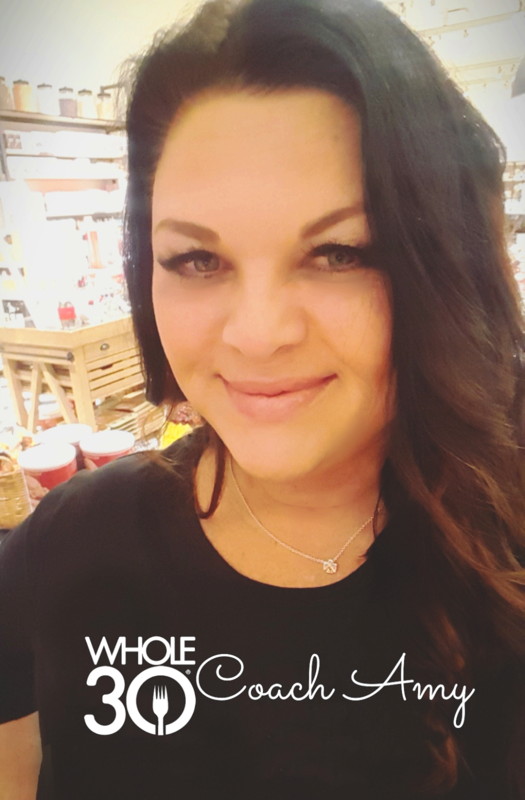 I shopped and prepped for my football soiree Saturday night. I hate having to get out on Saturday with the masses and I didn't. It was awesome, Saturday day I had the whole day to bum around the house, cook myself a nice breakfast, clean, get some laundry done, drink beer, watch football and U.S. Open tennis before my friends came over for the evening fun. Biggest mis-calculation of the weekend... I do not have the channel my game was televised on... ESNN. Wtf is that channel anyway??? I should have know because we were playing a no name team and I invited everyone over to watch it... of course I don't have the channel... or think to check on that first!!! I also almost ran out of gas for my grill at my own cookout. 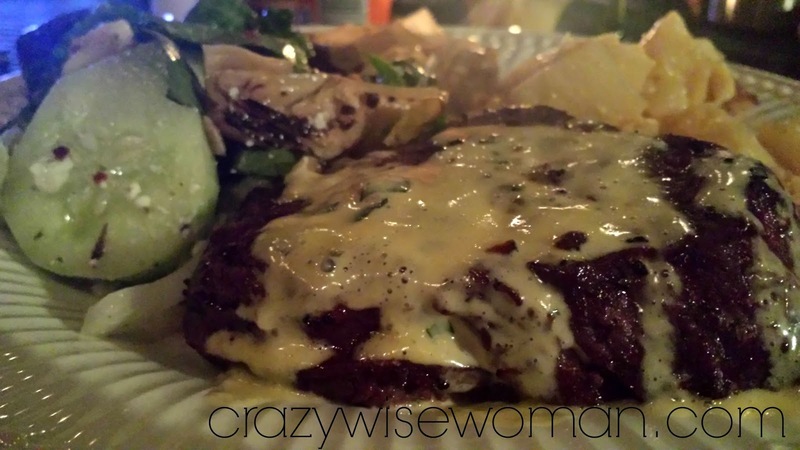 Oops... but I didn't and we all ate beautiful steaks and I made the Ah-mazing Bernaise Sauce I talked about here. Holy Balls it was a great joint effort dinner! On the menu... chili cheese dip because hello football party, steak and Bearnaise, hearts of palm salad, German potato salad, yellow squash, sauteed mushrooms and onions, lots of beer and wine. So effing good!!! And... good news FSU won!!! 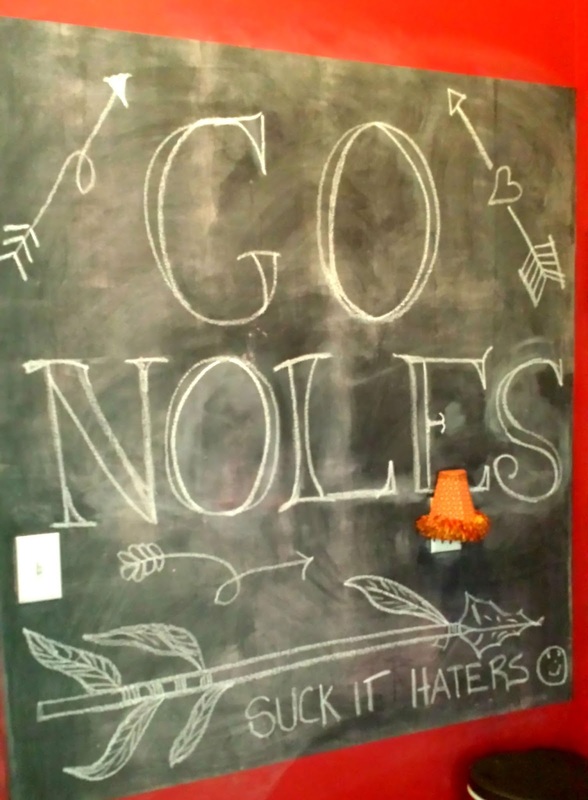 Probably because of my good luck art work on the mud room chalk wall! Sunday was lazy and also pretty awesome. 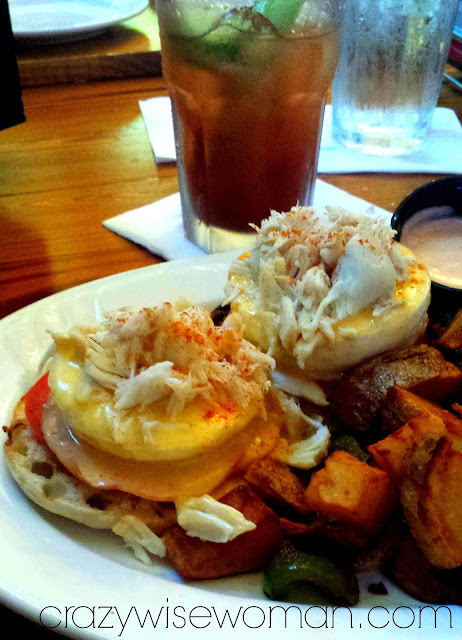 Coffee in pj's followed by brunch at a fave local spot for some Crab Benedict and Bloody Mary's at the bar. 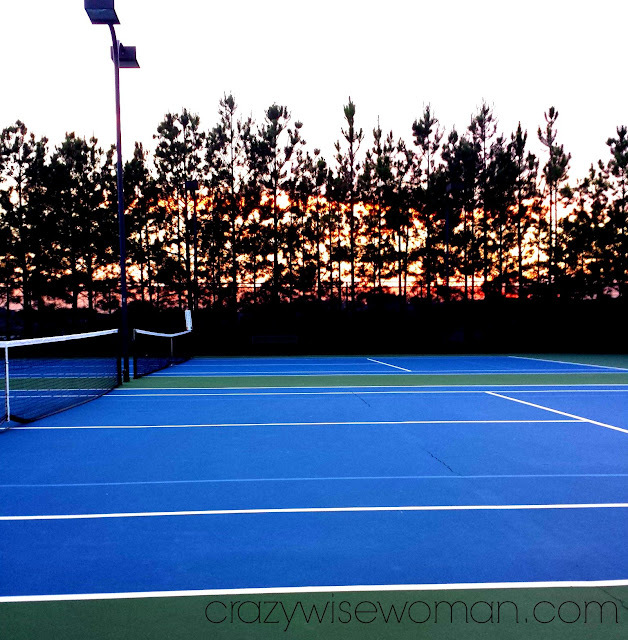 The rest of the day was more laziness followed by a little evening tennis. 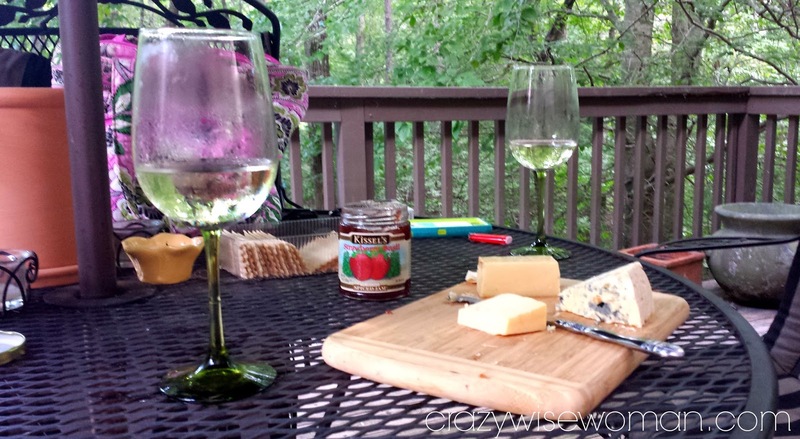 Monday equally relaxing with a little birthday shopping, new shoes and wine and cheese on the deck. All in all a great weekend and lead up to today! 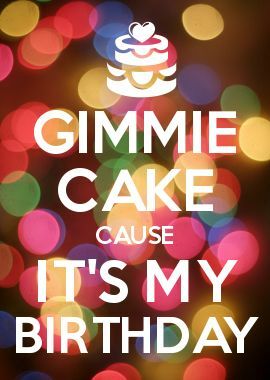 I will try to keep myself in check and be back for a post tomorrow but no promises since who knows what my birthday eve will bring! Happy Tuesday everyone!!! Linking up with Biana a little late!! happy birthday eve!! i'm glad i dont work because after i dropped K off at school, i was listening to the news and all i heard was traffic jams everywhere! if i were working, i'd be in that awfulness, bleh!! HAPPY BIRTHDAY!!!!!!!!!!!!!! Sounds like such glorious weekend! I love those shoes and I'm extremely jealous of your bloody marys and benedict brunch. I need more of that in my life. Sending you my good vibes for lots of cake today. You deserve it! Sweet new kicks! Happy happy birthday! LOL @ not having the channel. That would so be me. Happy birthday! I hope it's been an awesome one!!!! !